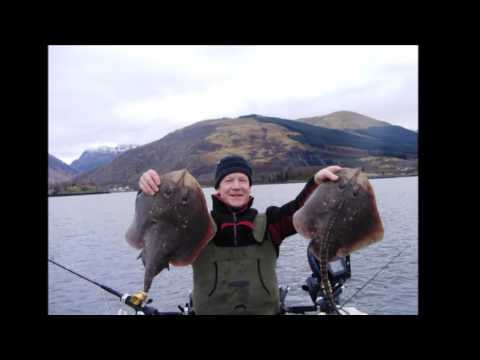 It’s a very personal compilation of video highlights of my sea angling in Scotland, from both small boats and the shore. 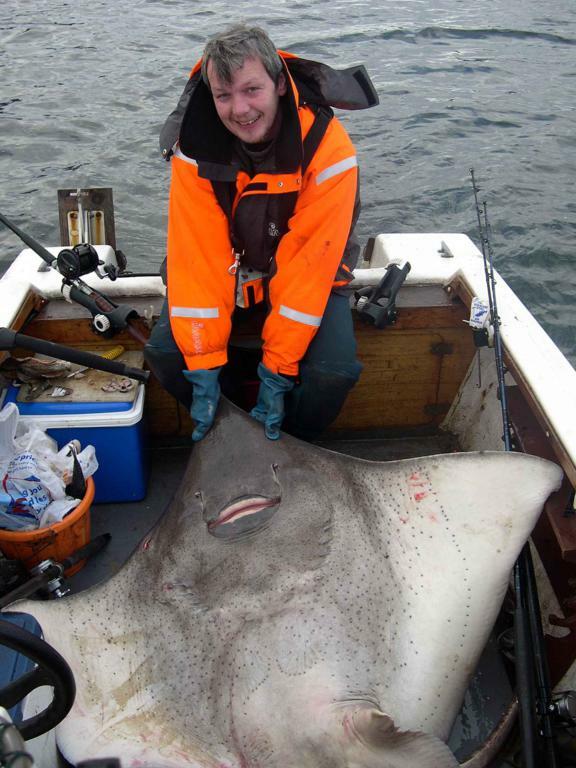 A little biased towards feistier and photogenic species such as tope and hounds, but also the fun of fishing a full-on east coast storm for cod and some skate fishing too. I love the chance to camp out under the stars on remote shorelines so there’s some footage of Etive, Sandwood, etc. More than one of the trips included here resulted in no fish at all, but often-times I find that really doesn’t matter much. I’ve tried to cover a range of venues on both east and west coasts, including Wigtown and Luce Bay, Etive, Sunart, Oban, Sandwoood Bay, Aberdeen, Dunbar and others. 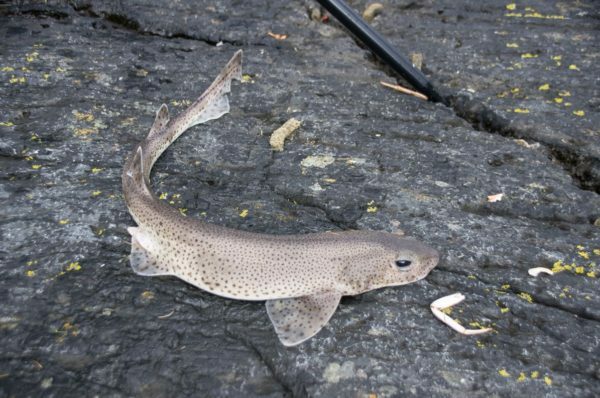 I find I tend not to do too much fishing in the height of summer, if there is such a thing in Scotland, but I do try and wet a line from time to time and here are a few mini-reports that didn’t get the full treatment. 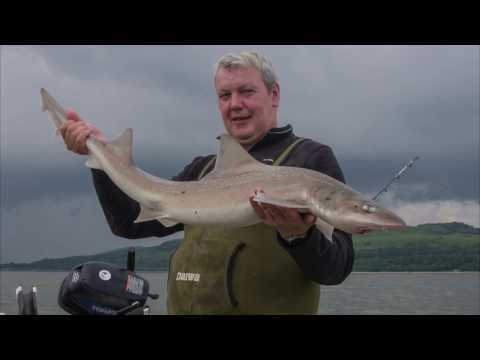 Bonnie and I headed over to Loch Leven for a few hours shore fishing in July. A bit blustery with a mix of sunshine and showers, but warm enough. We pretty much fished all the way up a rather large tide. St Andrews threw up a few Pollack and a good number of codling for Ian and myself at the beginning of August, although we’d to wait the best part of four hours before they switched on as the tide turned and light started to fade. No monsters (I say that all too often! ), but a useful top up for the freezer. Mackerel were fairly plentiful and I added coalie, ling, and a dogfish to the total for the day. As usual the zig-zagging through the lobster pots in near darkness added a little interest at the end of the day. 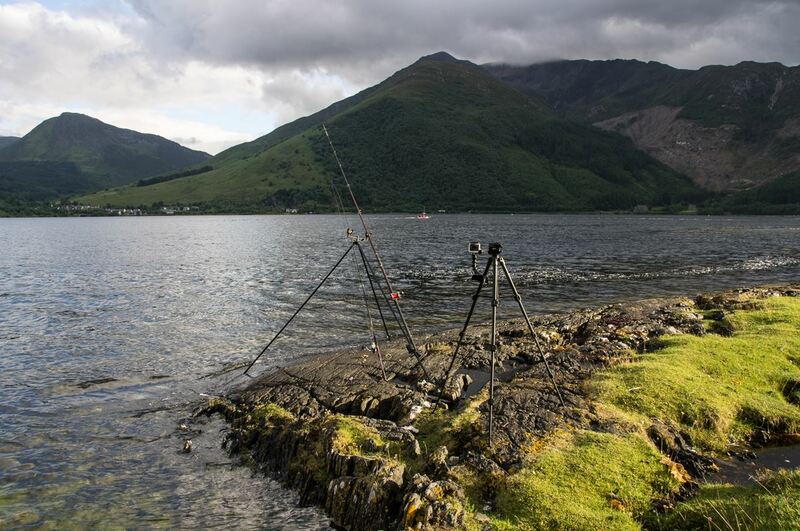 Last weekend saw me having a lazy day out on Loch Etive, trying a couple of new marks for me and trying to get a better understanding of a couple I’ve fished before. 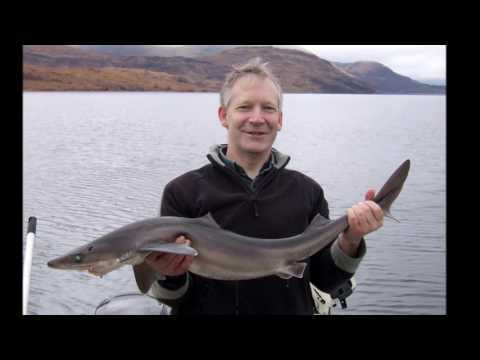 About half the day was spent chasing small spurs and middleweight pollack miles up the loch, with a few whiting, doggies and a single codling making up the numbers. 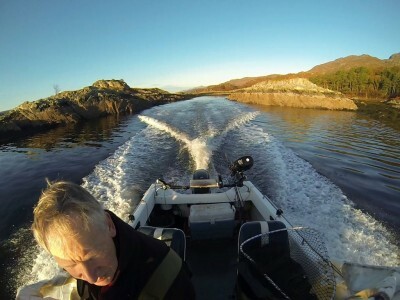 Shifting further down towards Bonawe and into deep (over 400 feet) water seemed to ignite more interest and I had a solid 90 minute spell of fish two at a time within seconds of hitting bottom. All of which would’ve been more fun if it didn’t involve a long, long haul to get them aboard! 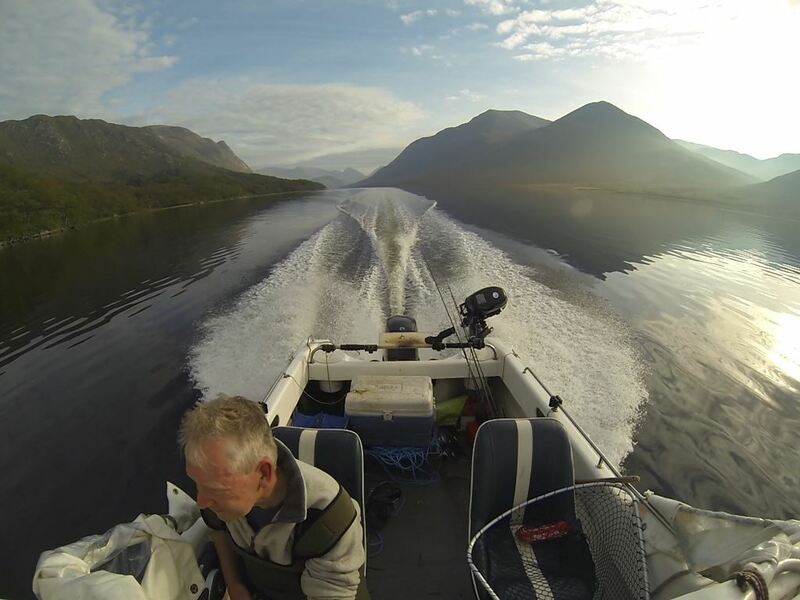 I also found the time to put together a couple of videos for Loch Etive and Loch Leven, based on trips there in recent years and fleshing out Corkwing’s pages on each. 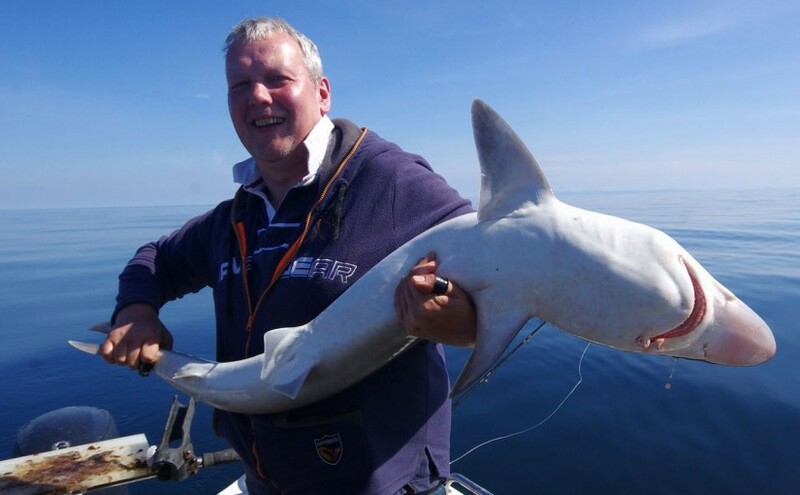 Fishing 2016 – Onwards and upwards? Traditionally this is about time for a whisky fuelled look into what fishing 2016 might offer together with a review of how 2015 went. Given the past year was fairly quiet in fishing terms I’ve combined the two into one post. 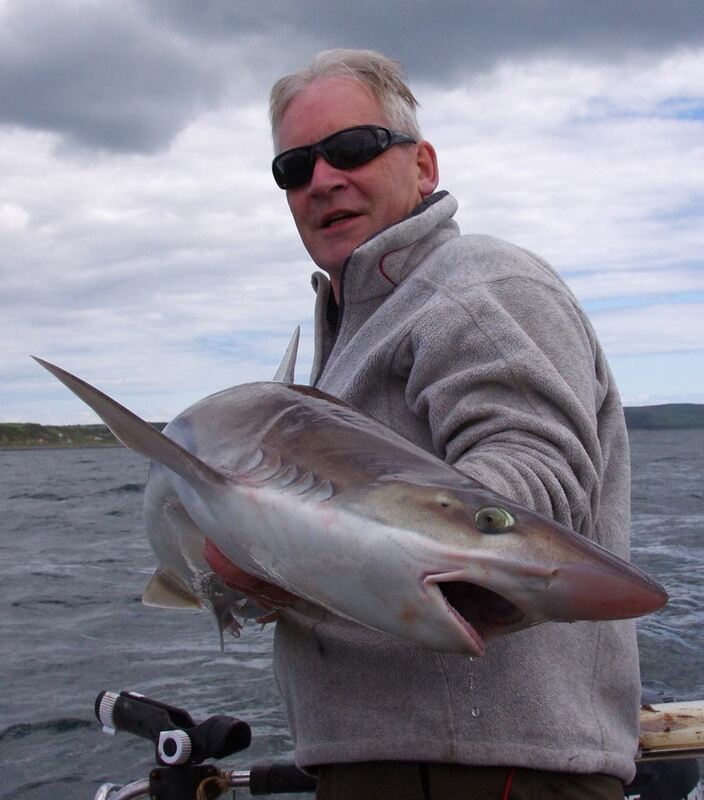 I’ve added a short video below of the 2015 fishing highlights – mainly toping in the SW for a week with Trevor and Ian, but a few other shots as well, including a very satisfying trip to Sandwood Bay. In that vein, the most memorable trips of the last few years are a 110 mile tour round Mull in Alcatraz, my overnight at Sandwood Bay last year, and a superb couple of days on Loch Etive the year before. None of these provided great fishing although that rather neatly emphasises that angling is only one element of the outdoors for me, albeit a big one. So this year the plan isn’t wildly different – a week in Galloway, chasing the excellent and varied fishing down there and a day or two in the north west. The trip planning’s sketched out for a couple of longer Alcatraz “cruises” in the Sea of the Hebrides if the weather plays ball. 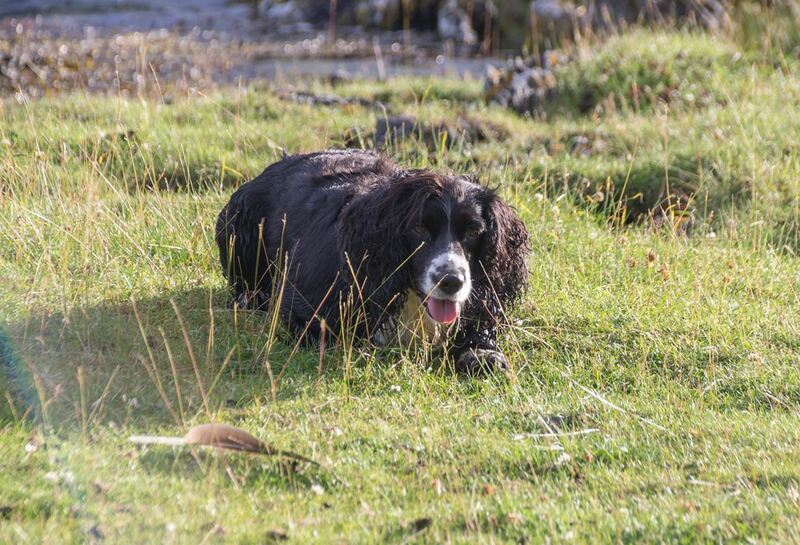 The thought of a run through Corryvreckan and around Jura is definitely appealing and quite do-able with care. And I do want to get back to Mull, although probably more for a bit of camping with a rod than an out-and-out fishing trip. 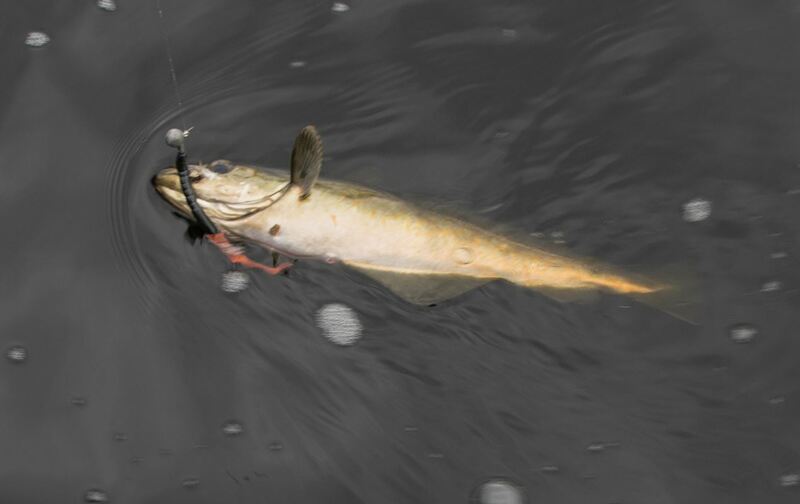 Nowadays I still enjoy catching a few codling or spurdog, but it is a smaller part of what drives me outside. However, given the minimal amount of time I spent codding last year I think I’ll need to up my game a little, if only to top up the freezer! Ian’s an expert at catching inshore Pollack, with the photos to prove it, and I’m very much an also ran. It’s partly incompetence but with a good chunk of laziness thrown in – I really need to persist a bit more with artificials this year. The fishing kit is reasonably up to speed, unless I get heavily into freshwater again, although my trusty old Torium 16 could do with being retired. 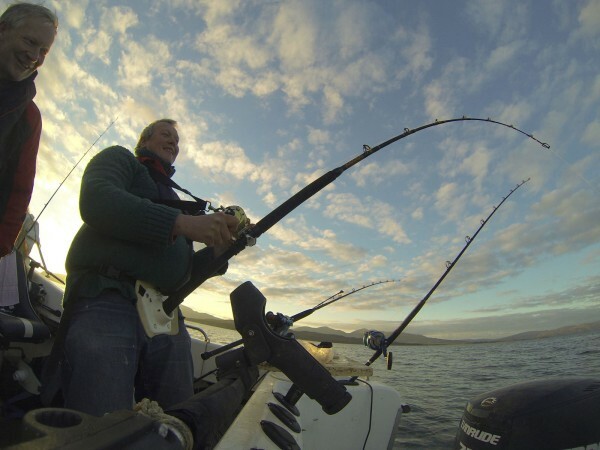 A more urgent need is to upgrade some of the fishing clothing, probably starting with a pair of waterproof trousers that actually repel water – pretty essential in the SIB unless you want to go for a full drysuit or wetsuit. Boat-wise, I added a hand held VHF for the SIB last year but will need to replace the fixed set on the Warrior. Apart from that the most obvious need is a new set of binoculars to replace the 30 year old pair that’s falling apart – I definitely find them useful afloat and wouldn’t want to be without them. I never did get around to replacing the tent last year, but I think it’s time will come in 2016. The current one’s a Vango Banshee 300 which is 7 or 8 years old now and has actually done a brilliant job for me. It’s not exactly falling apart, but I could do with something a bit lighter for solo backpacking. The trouble is that dropping the weight of the Vango from 2.5kg to nearer 1kg gets pretty expensive and I’m not too sure how robust some of the lightweight offerings really are. Author loftydPosted on January 3, 2016 December 31, 2017 Categories MiscellaneousLeave a comment on Fishing 2016 – Onwards and upwards? Looking back, I’d say my highlights were a Galloway trip at the end of May, a couple of gorgeous days out on Etive in late summer, and a 3 day camping/fishing trip in November, hunkered down in the hidden anchorage at Dun Ghallain, Loch Sunart. Galloway is in a league of its own concerning summer fishing, with a range of species difficult to match elsewhere in Scotland and a setting that is wild and beautiful, but just a less bleak than further north. 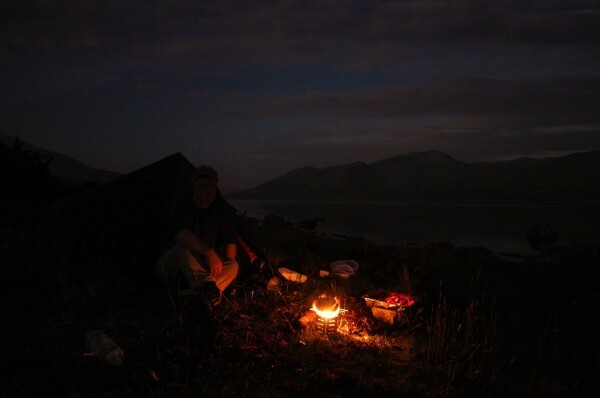 Trips to Etive and Sunart are more about atmosphere than quality fishing and it’s true that in recent years I’ve found I’m as much interested in exploring our coastline, nights under the stars in remote spots, and photography as I am in catching a few fish and I’m guessing this will continue. At the same time boundaries still need to be stretched a bit, and Etive, Leven and Sunart get a little restrictive after a winter confined to their sheltered waters. Time is still my main constraint, with only a few opportunities for multi-day trips in the year, which is one of the reasons I try and target effort carefully. A week in Galloway in June is high on the list. I’ve tended to try and juggle family pressures, forecasts and tides to try and take time off at very short notice. However the result tends to mean I don’t get down there often enough, so a different approach will apply this year and I’ll just have to accept the risk of south westerly winds blowing solidly for a week. 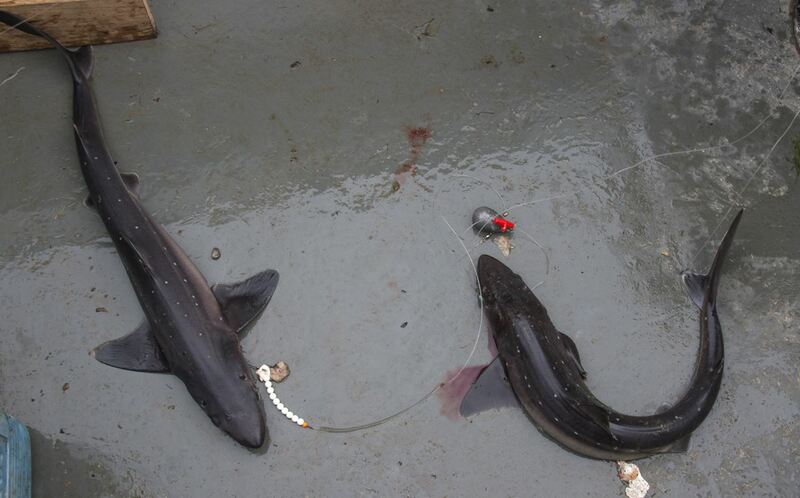 So tope, bass and smoothies are probably top of the fishy hit list. I want to get back to Mull. 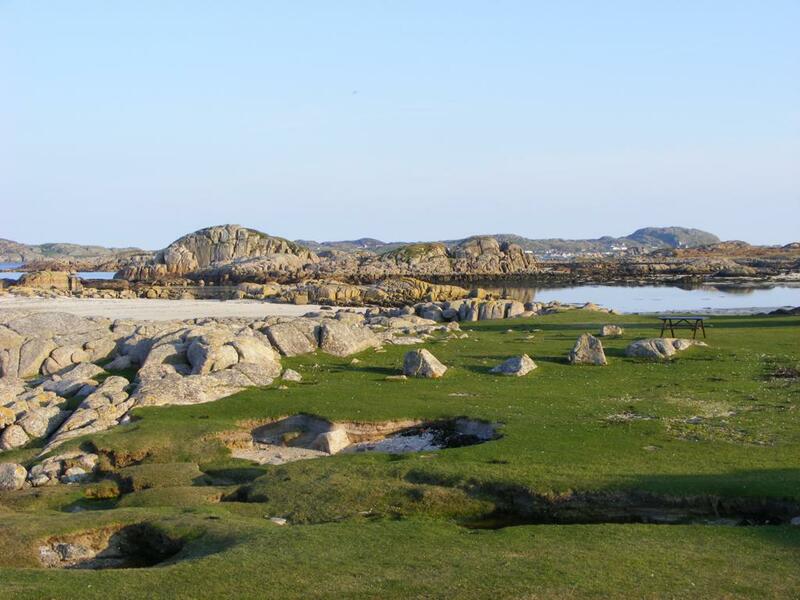 It’s southern and western coasts are amazing with some very remote and dramatic spots – but with weather to match. 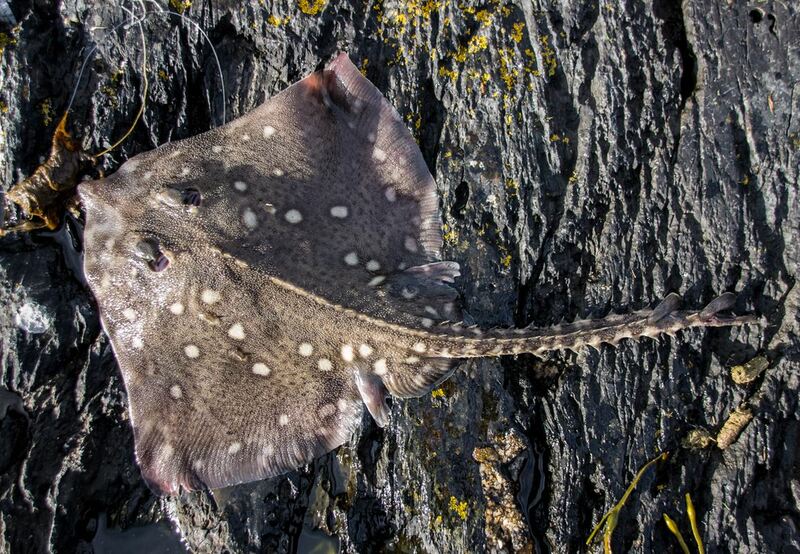 A couple of years ago I took Alcatraz right round Mull, on a 110 mile daytrip, and it’s tempting to do a repeat over two or three days to allow for a little more fishing time. Backpacking along the south coast, or into the Wilderness (its actual name) near Gribun is up there too, with or without a rod. In surroundings like these I’m not sure I care too much about the quality of fishing. 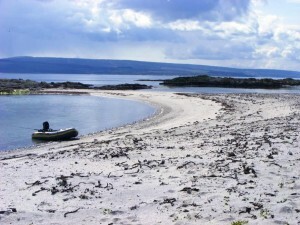 There’s also the banks surrounding Caliach Point if the weather plays ball in late August or September – although hauling a trailer along to Kilchoan on Ardnamurchan might make for a long road trip. Third place is a draw between the far north west (think Laxford, Sandwood Bay, Durness) and Skye. Weather and travel times are the bigger issues here, as neither are exactly day trip territory. I’ve been to Sandwood a couple of times before, but I do fancy taking a shore rod and a tent along in autumn once the midgies get less troublesome and before the winter gales really set in. Skye is similar, and I’ve been there before as well, but not for many years. The temptation here is to take along the inflatable as well as some shore gear and hope the weather gods tolerate me for a day or two. 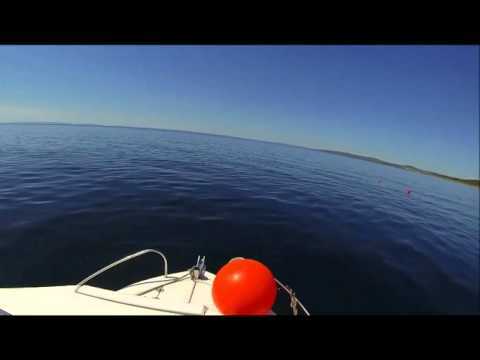 – Gigha and Cara/Mull of Kintyre. A beautiful area, and I might be tempted for a trip to Cara again with a view to early season Pollack. However it’s a long way for a day trip. – I’ll probably get around to this again in the grim depths of March, but skate fishing doesn’t really get my juices flowing. It’s just got the wrong mix of boredom mixed with spells of back-breakingly hard work. Every now and again I forget how bad it is and give it another go, but I usually need some persuasion. 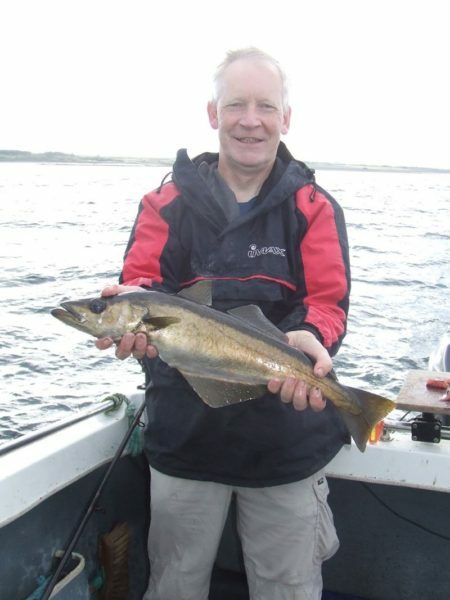 – And of course I’ll be out east coast coddie bashing and west coast spurries/ray fishing, hopefully fairly frequently, but this is bread and butter stuff so doesn’t really rate a place in the target list. I could pop down a 10lb cod, 15lb spur, etc. 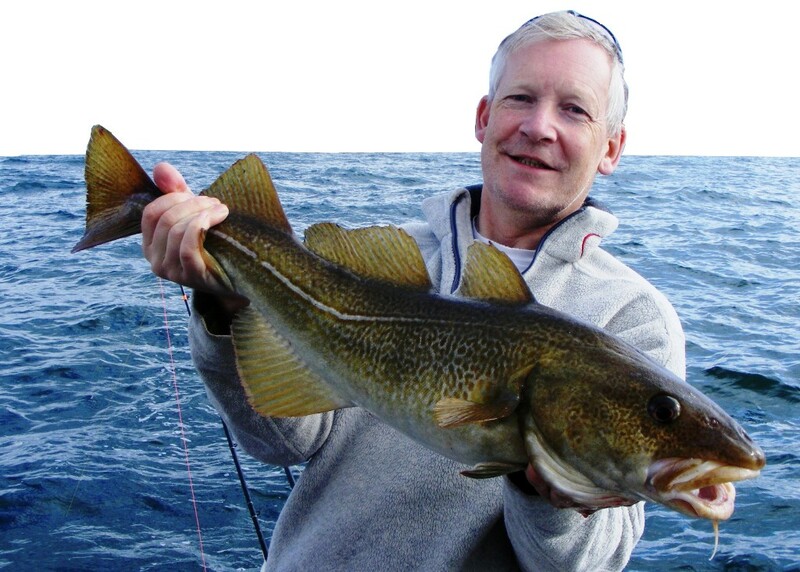 but I don’t find that much of a motivation – delighted if I catch a cod double, but it’s not really what gets me out on the water. 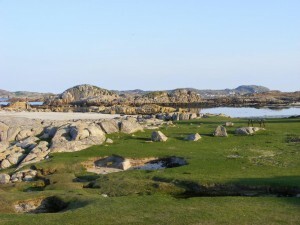 – Shetland has obvious attractions, but also has weather issues. I just don’t fancy all the hassle of getting there only to be blown off or restricted by the gales that tend to blast the islands. Given that I’m not particularly motivated by a large cod (or by charter boats) I think I’ll leave it for now. So what new toys are in mind? A lighter backpacking tent and a shiny new camera lens are part of the plan, but I’m not so sure about any fancy new fishing gear. I’ll probably replace my Grauvell Teklon spinning rod that met an unfortunate accident last year, but no rush to do much more. My pair of old Zzipplex shore rods are both well over 20 years old now, but still do a decent enough job, and I don’t really do enough shore fishing to justify spending a small fortune replacing them. The boat needs a new VHF and I’ll probably get a new handheld with integrated GPS as a backup and for use on the inflatable. I’ve just acquired a new Crewsaver Ergofit lifejacket which is a big upgrade over the previous kit – smaller and much more wearable, plus it has a sprayhood and light fitting. Other than that the Warrior looks set for the year and I think I’ll manage to resist the temptation to upgrade to the latest and greatest sonar. Author loftydPosted on January 3, 2015 December 31, 2017 Categories MiscellaneousLeave a comment on 2015? Quite a chunky change is the move to a new look and feel for Corkwing, that makes better use of images and allows me to highlight particular content or trip reports. This means quite a few tweaks still need to be made to take advantage of the new capabilities, mainly through adding or changing images, which I’ll sort out over Christmas. 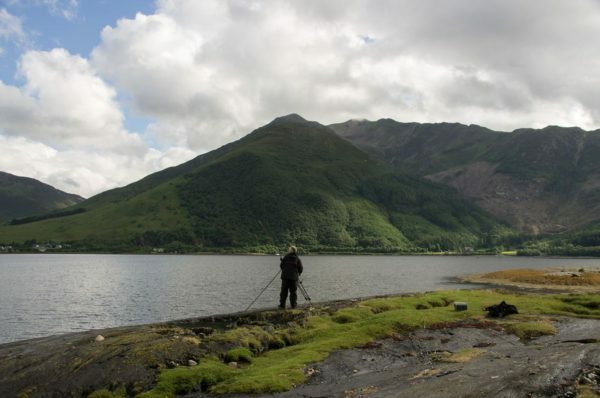 Also some updates to pages, including a new one covering Loch Leven, which I’m fishing more often these days. Some have expanded content and others some additional images added. Reckon this site is overdue a few more photographs, so I’ve added a photo gallery for a little more colour. More to come when I sort out the files!